We offer a variety of tours to fit the unique interests and needs of your group. Find our tour options listed below and see our pre-visit materials page for lessons, activities, and other information that will help your students prepare for their visit. All age groups, one hour, maximum 35 people, led by teacher or other adult. Offered year-round. 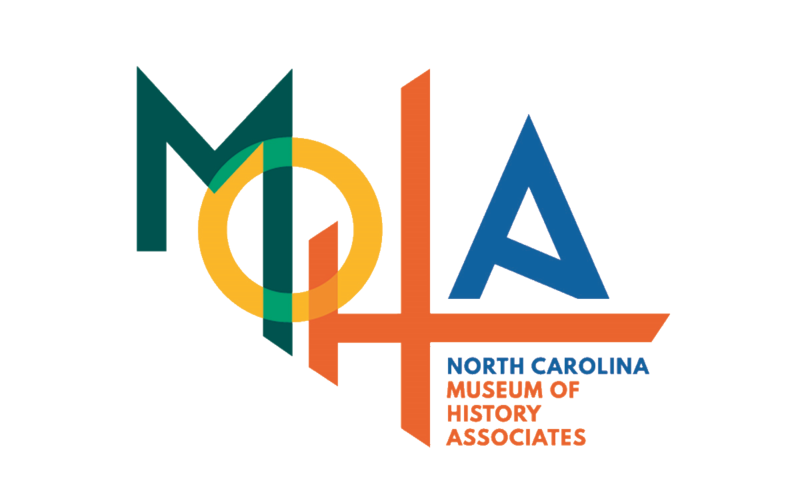 Tour the long-term exhibits The Story of North Carolina, Tar Heel Junior Historian Association, and North Carolina Sports Hall of Fame, plus additional temporary exhibits. Groups will explore the museum at their own pace, and learn more about certain artifacts or specific sections of the exhibits with the aid of interactive gallery carts staffed by volunteers. Grades 4–12 and adults, one hour, maximum 35 people, docent led. Offered July–September, January–February, and June on weekdays. Visit a specific permanent or temporary exhibit based on the interests of your group. 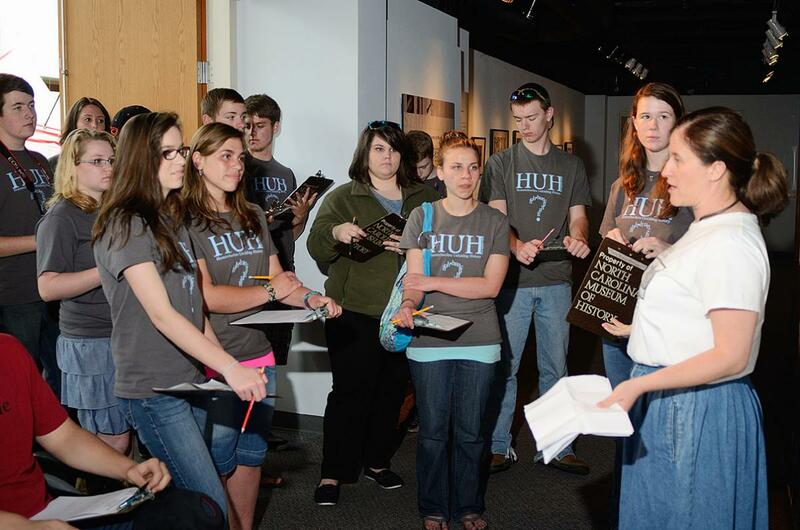 This tour provides an overview of the people and events shaping North Carolina history. Grades 6–12 and adults, one hour, maximum 35 people, docent led. Offered September–February and June upon request. Visit several exhibits on this tour to discover the contributions of African Americans to North Carolina history. All age groups, one hour, maximum 35 people, docent led. Offered year-round on weekends upon request. A museum docent will take you through several exhibits to highlight various aspects of North Carolina History. Advance registration required. Discovery Tours require a fee of $30 per class plus state and local taxes. A confirmation and invoice will be e-mailed to you within five days of scheduling your tour. Mail or deliver your check, money order, or purchase order, payable to NCMOH Education Programs, to Discovery Tours, North Carolina Museum of History, 5 E. Edenton St., Raleigh, NC 27601-1011. Payment must be received at least one week before the Discovery Tour, or the tour may be canceled. The museum will grant refunds only when a cancellation is received at least two weeks before the tour. For more information, please contact Susan Horton at 919-807-7982 or to book a tour, please contact the Capital Area Visitors Center by completing an online registration form. Grades K–3, one hour, maximum 35 students, docent led. Offered September–January and June–August on weekdays. How did North Carolina’s first people look, dress, or cook, and how do we know these things? Touch, see, and even smell reproduction artifacts. See the American Indian community as it existed centuries ago and learn about its contributions to today’s communities. What is a string band and how does it sound? Explore North Carolina’s musical heritage by looking at traditional instruments and recognizing their sounds. Then get moving to the music with some clogging steps. Grades 3–8, one hour, maximum 35 students, docent led. What was the Civil Rights Movement and what caused it? Learn about North Carolina’s connection to this social movement by exploring objects from the period. Each object tells a story about this fight for equal rights. Grades 4–8, one hour, maximum 35 students, docent led. Let’s go back to early 19th-century North Carolina and discover what life was like on a subsistence farm at that time. How did people cook their food, clean their houses, and do other household chores without the modern conveniences of today?